Posted on May 23, 2012 by eliefares Tagged Bechara Al RaïChristianityChurchMaronitePatriarchSyria	Comments7 Comments on Maronite Patriarch Bechara Al Raï Changing Opinions Towards Syria? 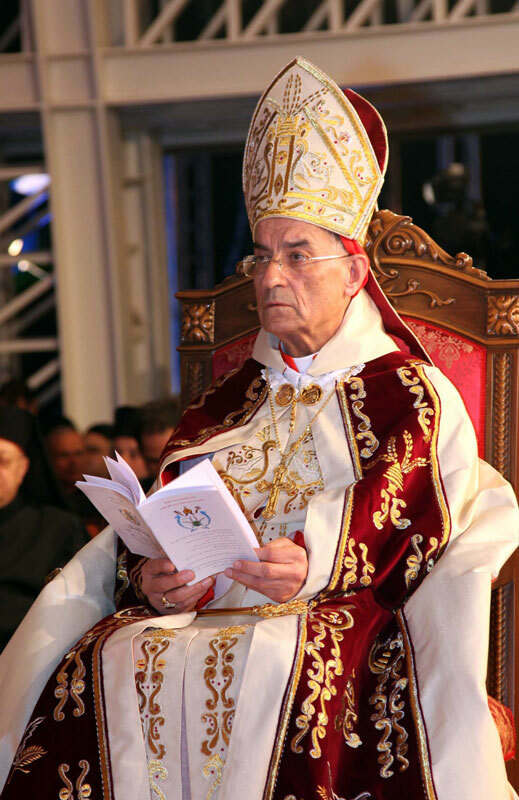 Maronite Patriarch Bechara Al Raï Changing Opinions Towards Syria? I had heard that the patriarch received a figurative slap on the wrist from the Vatican for the drastic detour he took the Maronite church aboard. With his latest statements, he’s on a change of course. This is more than a welcome change for Bkerki’s discourse, one that takes it back to the historical path it was always known for: where Maronites do not cower away from telling things like they are and hiding behind the fake protection of dictatorships. Now let him go back to where the Maronite church stood regarding Hezbollah’s weapons and I’d be one happy member of the congregation. After all, he seems to be listening to my advice. 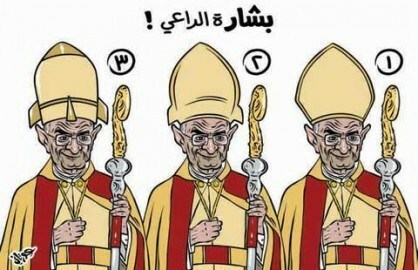 When it comes to the Maronite Patriarch, Bechara Al Raï, I feel I have to be extra careful. The line between criticizing the individual and his stances is very thin and it is one I do not want to cross because he is, first and foremost, the head of a Church I feel proud to be part of for various reasons. The leading Maronite politicians in Lebanon have found themselves at opposite sides of the aforementioned line. Being very kind-hearted, I’ll assume the line is very blurry for proper discrimination. But don’t be fooled, there’s a very important distinction between the stances Samir Geagea took regarding the current Patriarch and those adopted by Michel Aoun towards the former one. Michel Aoun is preparing a parliamentary bid with an almost exclusively Christian coalition of political forces. At the end of May 2005, Aoun has gotten a sizable portion of the Christian votes – 70% in some areas. The patriarch at the time, Nasrallah Sfeir, had openly endorsed Aoun for trying to bring Christians together under a political idea that was, at the time, opposite to the alliance that included Hezbollah. Michel Aoun signed an agreement with Hezbollah as the latter slowly drifted away from the electoral alliance it had forged a few months earlier. The agreement served to create a “Christian cover” for Hezbollah’s arms. It backfired. Aoun’s popularity began to slip, whether his followers like to admit it or not. The patriarch, following the political doctrine Bkerke has always been known for, began to criticize Aoun’s drastic shift in political positions. Subsequently, Aoun began to attack the patriarch both on personal and political levels. 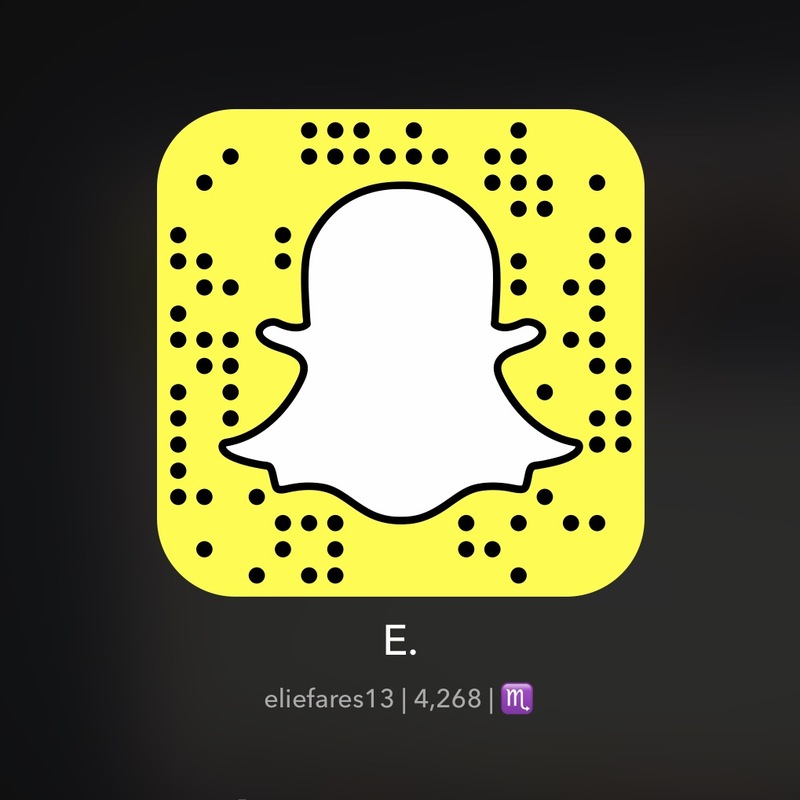 The attacks ended in 2011 when Sfeir resigned and Bechara Al Raï took over. Samir Geagea is being interviewed on a political talk show, Bi Mawdou3iye, on MTV. He declares that the recent pro-Syrian stances of the Maronite Patriarch do not represent the historical path Bkerke had drawn for itself. He also asserted that the position of Bkerke as a leader in Lebanese society has dramatically decreased as a result of the erroneous stances taken by the patriarch. Moreover, commenting on recent declarations by a mufti in KSA that the Arabian peninsula should not have any church standing in the near future, he replied that the stances coming out from the Azhar are the ones to be considered as legitimate and that the xenophobic declarations of Saudi Arabia’s mufti are very similar in crude nature to what the Patriarch had said about him being afraid for the Christians of the East because of the Islamists rising around us. I am faced with a torrent of people sharing certain articles about how Samir Geagea is a hypocrite in criticizing the patriarch. And it is here that I bring back the initial point I mentioned in this post: there’s a thin line between criticizing a person, which Michel Aoun flagrantly did for years, and criticizing a person’s stances, which Samir Geagea has been doing for the past year. It is a very thin line but it exists. And you cannot compare both men with regards to how they behaved towards the Maronite Patriarch without taking that into consideration. The fact of the matter remains that when Samir Geagea’s pardon went through and he was released out of prison in July 2005, the months when Patriarch Sfeir and his party had been at odds were not marred by discordance. The fact of the matter remains that even when Samir Geagea is in grave disagreement with the current patriarch, his critiques cannot but be considered respectful. Or need I remind people of “the patriarch must have gotten horny” comment by one of Michel Aoun’s allies, a statement which was not condemned by Aoun’s party, or when the patriarch was called senile by Michel Aoun’s close entourage, a statement that the General did not, also, condemn. The fact of the matter remains that the patriarch, with his current stances, is not helping to elevate the position of the Church he was appointed in charge of. Many bishops have even expressed discomfort in the way he is handling things. Patriarch Raï might be taking the power his congregation vested in him for granted. You cannot simply support the regime of a man who has been killing your people for years and years and expect then not to react negatively. You cannot expect your congregation to fathom supporting one of the main reasons their role in Lebanese society has degraded this substantially and pretend as if the years of Syrian occupation had never happened. The difference between Michel Aoun and Samir Geagea goes back to principles. One has principles, the other simply lacks them. One expected Bkerke to change the way he saw fit and was disappointed when it didn’t. The other was disappointed as Bkerke strayed from the principles it built for hundreds of years and used to cement itself as a champion for the rights of Maronites in particular and Lebanese in general. After all, how can we forget when Aoun’s supporters stormed Bkerke in a riot years ago? And they have the audacity to criticize Geagea for speaking up. Yet again, people tend to jump the boat of hype without looking at the underlying current. But every now and then, a slight nudge of their memories is in order.